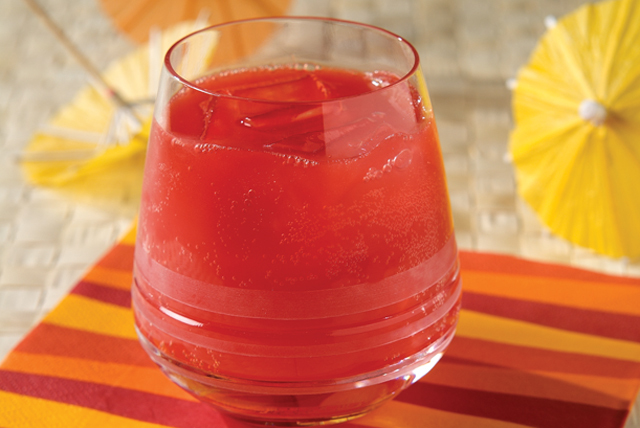 Cold OJ and cherry-flavored KOOL-AID give this refreshing drink its fruity punch. Combine first 2 ingredients in large pitcher. Stir in juice until drink mix is completely dissolved. Add seltzer. Serve over ice cubes in tall glasses. Prepare as directed, omitting the granulated sweetener and using KOOL-AID Sugar Free Cherry Flavor Drink Mix. Prepare using your favorite red flavor KOOL-AID Unsweetened Drink Mix. Prepare as directed, except do not add the seltzer. Refrigerate until ready to serve. Add seltzer just before serving.